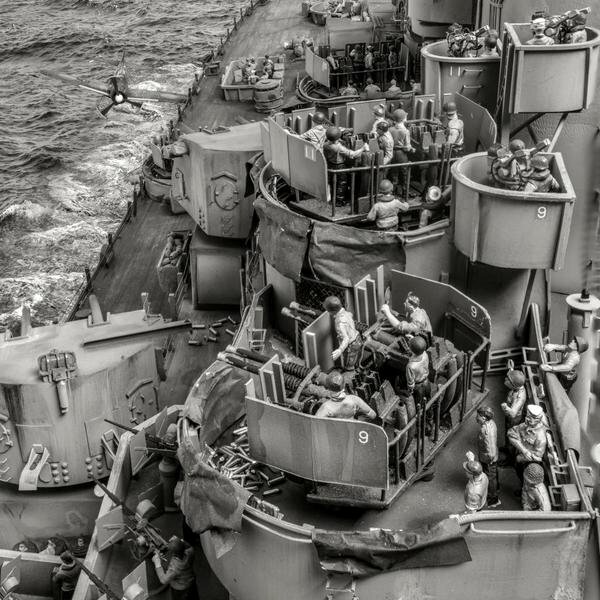 Claim: this is a photo of USS Missouri seconds before being struck by a kamikaze in 1945. The claim is false. That is a 1/72 scale model diorama of USS Missouri via Warsztaty Modelarskie Poznan. Below is a color version of the photo via Pinterest. Note: it’s a good reproduction of the famous photo by Buster Campbell (11 April 1945). I don’t know why some history accounts ended up sharing the diorama photo when the original is widely available.